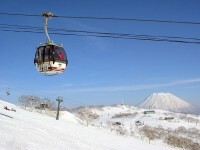 Furano Ski Resort, located on Mount Furano-Nishidake, comprises two ski areas spread across the mountain's eastern face: the Kitanomine Zone to the north and the Furano Zone to the south. 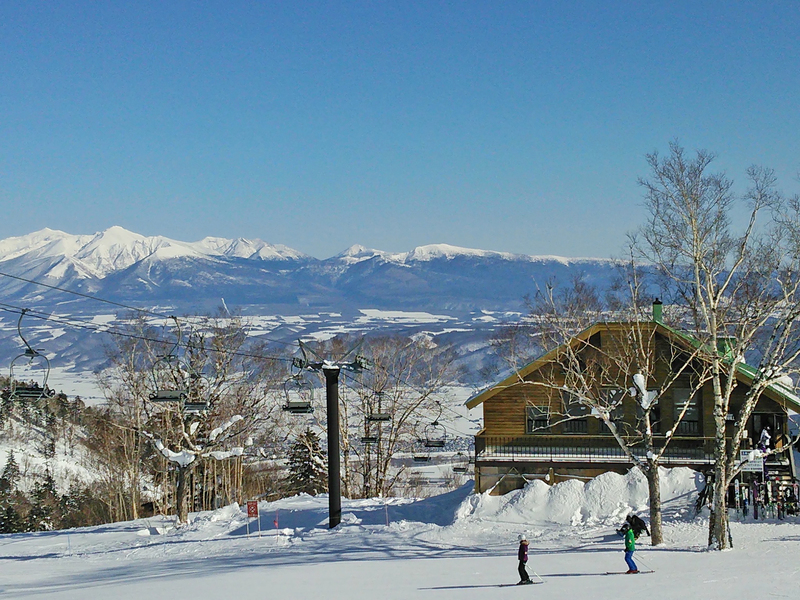 Inland Hokkaido's premier large-scale ski area, the resort can be enjoyed well into the spring, as the Furano Zone remains in operation through the national Golden Week holiday in early May. Visitors to Furano Ski Resort begin their adventure by zooming up the high-speed Furano Ropeway, which offers unparalleled views of the surrounding landscape. With one more chair (Downhill Romance No. 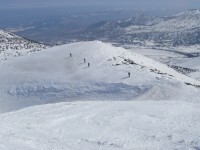 3), skiers and snowboarders find themselves standing on the peak of the mountain at an altitude of 3,966 feet. It's a perfect start for intermediate skiers, who can zip down a nearly three-mile roller coaster ride all the way to the bottom. 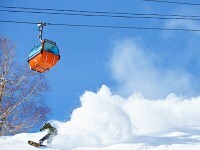 Spring skiing in Furano is a unique experience not to be missed. 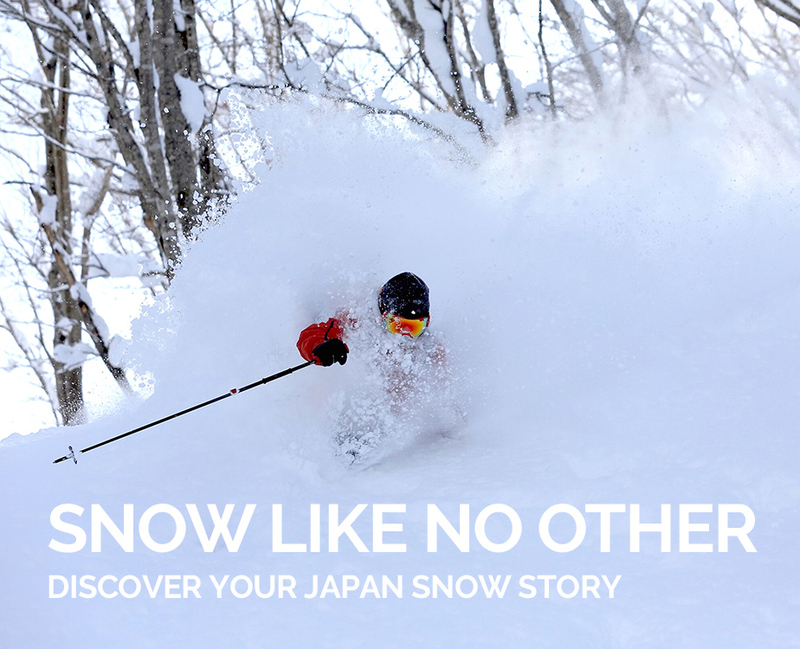 Only during this season can visitors experience the ephemeral beauty of Japanese cherry blossoms in the village while enjoying an alpine ski adventure on the mountain above. With the clear skies of the spring season, skiers and snowboarders can enjoy breathtaking views of various snow-capped mountains, including the striking sight of Mount Tokachi just northeast of the resort. While Furano's famous lavenders don't begin to bloom until mid to late June, the dawn of spring brings cherry blossoms aplenty. 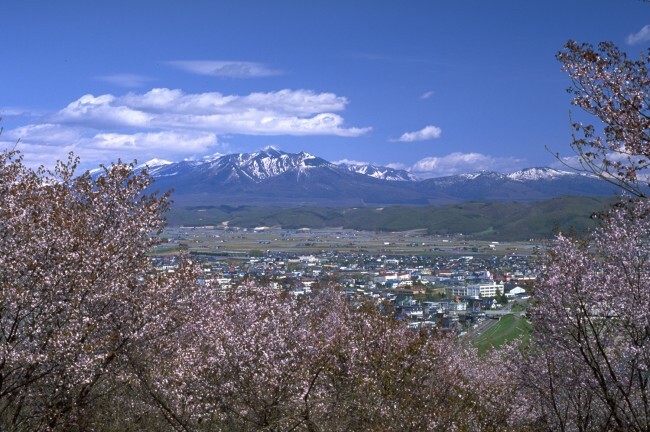 Located in the eastern portion of Furano's Kitanomine area, the cherry blossoms in Asahigaoka Park are so beautiful that in 1950 they were selected as one of Japan's 100 Famous Views. The park's 3,000 cherry trees can be found in full bloom from late April to early May, forming a landscape of pure pink. Glimpses of white snow on the surrounding peaks create the sensation of stepping into a living, breathing Japanese painting. Another must for cherry blossom aficionados is the roadside cherry trees of the Rokugo Highway, a famous sight that has featured in Japanese media such as the popular TV series, Kita no Kuni Kara (From a North Country). 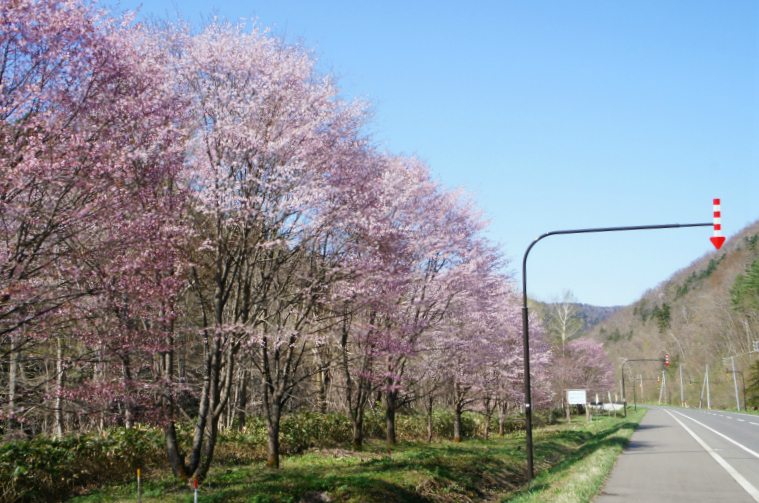 This mile-long slice of Prefectural Route 544 runs from Furano’s Nunobe area to its central Rokugo district, boasting over 800 cherry trees that bloom from late April to early May. When the cherry blossoms are in full bloom, the roadway becomes a tunnel of solid pink, echoing people's jubilance as Hokkaido's long, hard winter comes to an end. Nestled in a stretch of verdant forest less than a mile from Furano Ski Resort, the Furano Cheese Factory - or Cheese Kobo - makes cheese and ice cream using locally sourced ingredients. Tucked in a corner of the factory is the Pizza Kobo, an immensely popular pizzeria where a one- to two-hour wait is the order of the day. Aiming for truly authentic pizza, the owners sent delegates to Naples, the pizza capital of the world, to learn the fundamentals of pizza making, ultimately importing their pizza oven from the famed Italian city. 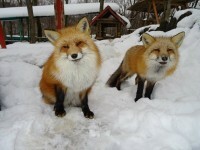 While the techniques may be imported, the flour, sauce and cheese are all locally sourced from the Furano area. 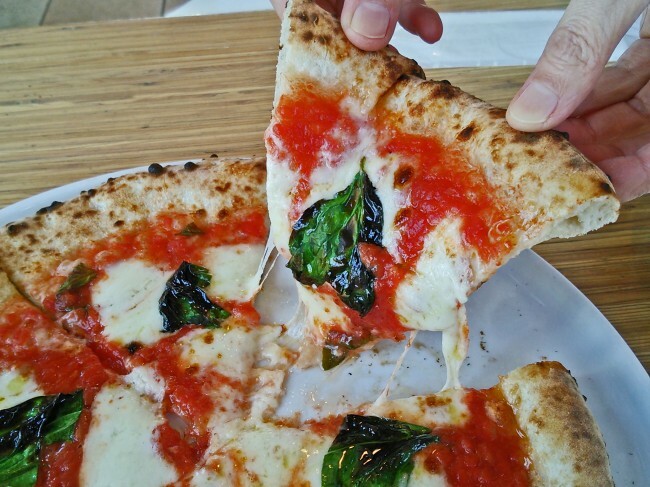 The first bite of the Kobo's unbeatably fresh mozzarella cheese and chewy dough makes a memory of the hour-long wait, and explains why visitors flock here from all over Japan just to get their hands on a slice.